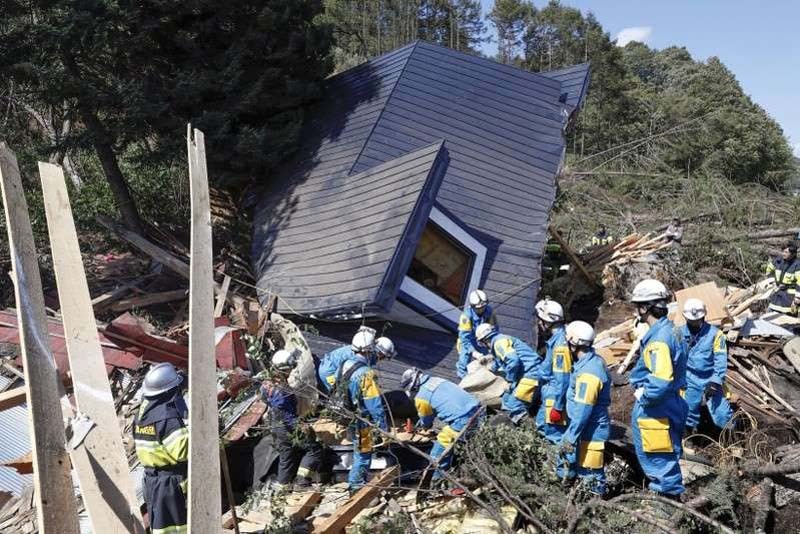 Rescue workers with dogs searched for survivors on Friday in debris-strewn landslides caused by an earthquake in Japan's northern island of Hokkaido that killed at least 16 people, officials said, with 26 still missing. Electricity was restored to nearly half the island's 5.3 million residents after a blackout triggered by Thursday morning's 6.7-magnitude quake. There were also widespread transport cuts after the pre-dawn quake, the latest natural disaster in a deadly summer in Japan. "I just hope they can find him quickly," one unidentified man told NHK as he watched the search for his missing neighbor.